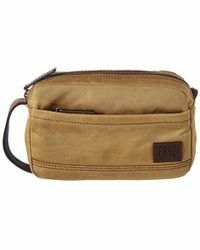 If you're looking for an authentic American brand that is expert when it comes to handling materials such as leather then you'll find that Frye has a lot to offer. 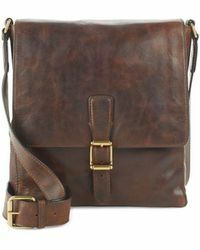 This label has established a reputation over the years for making first footwear, and later leather accessories too, that are hardwearing and hard working, lasting longer and looking better than many others on the market. 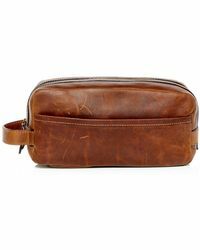 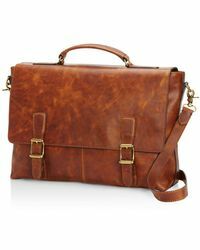 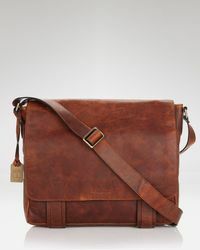 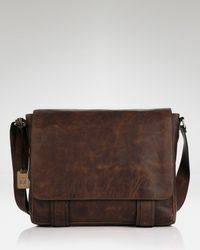 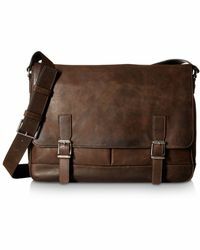 You'll find a great selection of choice in the messenger range from Frye, including briefcase style messengers with dark leather trims, business case designs with stand up handles and a wide range of fold flap messengers in various vintage style leathers. 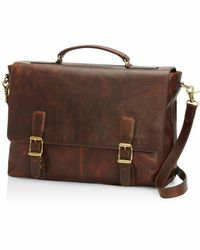 There are also small sized messengers with buckle detail which are more compact and convenient.